Al-Qaeda's power has waned in Mali, but unresolved ethnic conflicts still threaten the country after 16 months of civil war, a military coup, and French military intervention. Now that Mali has held its first election, the prospects for peaceful reunification are on the minds of many. It may not be too late for Mali’s newly elected leaders to convince the Tuaregs that it is in their interest to disarm and partake in the reunification of Mali. Now that Mali has held its first election following the state’s near disintegration—a 16-month period marked by a fierce rebel offensive, a military coup, and a French military intervention—the prospects for peaceful reunification are on the minds of many. A high voter turnout in the capital city of Bamako underscored the average Malian’s eagerness for a return to democracy, and the absence of jihadist-sponsored attacks on voters justifies cautious optimism about improved security. The Tuareg question, however, remains unresolved. If Bamako’s efforts to make peace with this long-rebellious minority group prove futile, expectations about national reconciliation and long-term stability in Mali must be dimmed. During late 2011, a Tuareg uprising erupted in northern Mali. The main armed group—the Movement for the National Liberation of Azawad (MNLA)—partnered with Islamist militants to expel Mali’s weak military from the northern two-thirds of the country. They were bolstered by an influx of arms smuggled over from Libya, where Muammar Gaddafi’s regime was crumbling under pressure from a NATO-backed rebellion. As loyalist forces buckled under the offensive, Captain Amadou Haya Sanogo led a military coup on March 22, 2012 that ousted the democratically elected president, Amadou Toumani Touré. Captain Sanogo blamed Touré’s civilian government for mismanaging the Tuareg rebellion and pledged to reassert Bamako’s control over the north. Nonetheless, the captain failed and three militant jihadist groups—Al-Qaeda in the Islamic Maghreb (AQIM), Ansar Dine, and the Movement for Oneness and Jihad in West Africa (MOJWA)—turned their guns on the MNLA and took over the northern two-thirds of Mali in April 2012, striking a blow to both the MNLA and the national government. Additionally, the Islamist takeover raised international concerns about a portion of Mali the size of France becoming a safe haven for Al-Qaeda affiliate organizations on Europe’s doorstep. During the nine months (April 2012 – January 2013) in which the Islamists maintained de facto rule in the north, the Economic Community of West African States (ECOWAS) and the United Nations (UN) spoke of launching an international military campaign against the jihadists to restore the Malian state’s territorial integrity. Yet no action was taken. AQIM launched a new offensive against Mali’s military on January 7, 2013 in Konna, a town located 320 miles from Bamako that the state maintained control over throughout the previous year. This prompted France to abandon its previous position that Paris needed to play a behind-the-scenes role with African troops taking initiative. Suspecting that AQIM intended to take its holy war to Bamako and topple the Malian government, France declared a need for swift military action to protect its economic and security interests in the Sahel. President François Hollande launched “Operation Serval” on January 11, 2013, which dislodged the Islamist militants by the month’s end. At least for now, AQIM militants have either relocated to Algeria, Libya, Mauritania, or Tunisia, or laid down their arms in northern Mali. The fact that fewer than 50 French and allied Chadian troops have been killed since Operation Serval’s launch (including the initial phase of intense combat) indicates that conditions have been reasonably stable under their watch. Of course, AQIM may return to northern Mali after French troops have fully withdrawn and the land is controlled by a UN-led force comprised of troops from ECOWAS member states. Given the ECOWAS troops’ lack of experience in desert terrain, it is premature to conclude that the Islamists have been defeated in Mali. Aside from the looming threat posed by AQIM, the Tuareg issue is the gravest stumbling block to national unity. Mali’s interim Prime Minister Diango Cissoko declared in February that “it is out of the question to speak of federalism” in northern Mali, warning of “those who envisage the division of the territory.” Cissoko’s only stated concession to the Tuaregs was the possibility of implementing a degree of decentralization. Given that many Tuaregs want total independence, bridging the gulf between the Malian government and the Tuaregs may prove too difficult. Nonetheless, ongoing efforts were taken to overcome this challenge. The Malian government signed a preliminary agreement with the MNLA and another rebel group, the High Council for the Unity of Azawad (HCUA), on June 18 in Ouagadougou, Burkina Faso. The agreement concluded that a national election would be held on July 28, 2013, a cease-fire would be implemented, and an intra-Mali dialogue would be initiated. Under the Ouagadougou Accords, the Tuareg forces that took over Kidal after the jihadists fled the area during Operation Serval would remain “confined” to the camps near Kidal. 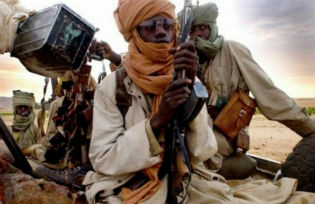 However, armed rebels have left the camps, bringing about tense encounters with troops from Mali’s military. Mohammed Ag Intalla, secretary-general of the HCUA, stated that Bamako has failed to maintain its end of the bargain by not releasing any prisoners and has maintained that Tuareg militants must be permitted to leave their camps to access water, electricity, and food. If the two sides cannot agree on how to implement the Ouagadougou Accords, pessimism about the hopes for a long-term peace agreement is justified. More generally, the lack of trust between the Malian state and the Tuareg community severely hinders the prospects for peaceful unification. The MNLA’s temporary alliance with AQIM was treacherous, according to many Malians, and this partnership opened the door for an Al-Qaeda affiliate group to rule the majority of Malian territory for nine months. Unsurprisingly, many Malians do not want Bamako to concede much to this group. Furthermore, alleged western backing for Mali’s Tuaregs fits into many Malian nationalists’ narrative of foreign powers carving up Mali. From the Tuareg perspective, after half a century of failed uprisings, a genuine opportunity for total independence is finally in the cards. The fact that voter turnout was exceptionally low in the north calls into doubt the Tuaregs’ interest in promoting a national democratic system of government that keeps them under Bamako’s rule. Thus, Cissoko’s calls for a degree of decentralization are unlikely to placate the MNLA or HCUA. Furthermore, human rights violations that Malian forces have carried out in the north since the jihadists were dislodged have only fueled greater resentment against central authorities. Amnesty International has received testimonies of “torture” and the “ill-treatment” of lighter-skinned persons, accused by the Malian security forces of collaborating with AQIM during 2012. Indeed, an overlooked dynamic in this conflict is the historical tension between Mali’s dark-skinned citizens in the south and the lighter-skinned Tuareg and Arab citizens of the Saharan desert. If further ethnic strife ensues, Malians may see that their country’s dark days are far from over. Mali: A Model for African Democracy? Many have labeled the recent national election as the first step toward Mali’s “return to democracy.” Prior to the 2012 crisis, Mali was indeed hailed as an African democratic success story. But those committed to reunifying the country under a single political order would be wise to recognize that the shortcomings of Mali’s democracy bore much responsibility for the conflict. Since independence in 1960, the Tuareg community, whose culture and identity precedes the establishment of the Malian state by nearly a millennium, has been marginalized by the central government. Promised development projects in the north have failed to raise the standard of living for this ethnic group. If it is not too late for Mali’s newly elected leaders to convince the Tuaregs that it is in their interest to disarm and partake in the reunification of Mali, Bamako will have to demonstrate a true commitment to human development in the neglected northern two-thirds of its country. Giorgio Cafiero is a regional analyst for Consultancy Africa Intelligence, a research analyst for Country Risk Solutions, and a contributor to Foreign Policy In Focus. His FPIF commentary “Understanding the Standoff in Mali” provides more background on the conflict in northern Mali.